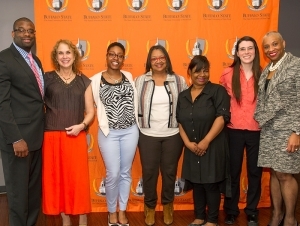 Recipients of the 2017 Dr. Muriel A. Howard Presidential Award for the Promotion of Equity and Campus Diversity were recognized at a ceremony held on campus April 11. 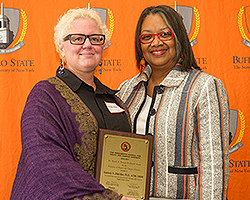 Since the award’s inception, 71 faculty, staff, and programs have been honored. Introductions were offered by Lisa Morrison-Fronckowiak, director of Student Accessibility Services and co-chair of the President’s Council on Equity and Campus Diversity. 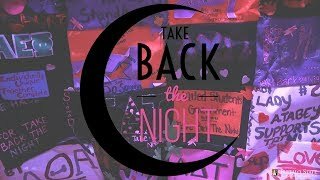 President Conway-Turner honored faculty and staff members, minigrant recipients, and other supportive guests at the annual event. This year’s Muriel A. Howard Award faculty recipients were Michelle Bae-Dimitriadis, assistant professor of art education, and Kimberly Zittel-Barr (at left), chair and associate professor of social work. The Presidential Special Program Recognition Award was given to Keunyoung Oh, associate professor of fashion and textile technology, for the “New World, New Wardrobe” clothing drive. Top: Jason Parker, diversity program coordinator; Janet Fehskens, secretary 1 for equity and diversity; Monet Lewis, certificate recipient; President Conway-Turner; Melissa Caldwell, student assistant; Victoria Murty, certificate recipient; and Karen Clinton Jones, chief diversity officer. Middle: Zittel-Barr with President Conway-Turner. 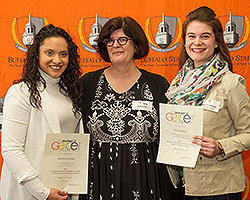 Bottom: Callejas, award recipient; Meg Knowles, associate professor of communication and coordinator of women and gender studies minor; and Cerbone, award recipient.